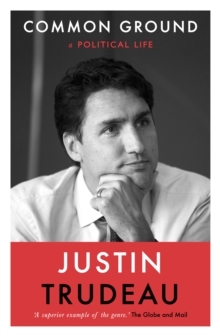 Justin Trudeau's candid memoir reveals for the first time the experiences that have shaped him over the course of his life, revealing how his passion for politics took root. From his childhood at the prime ministerial residence of 24 Sussex to his leadership of the Liberal party, Trudeau captures the formative moments of his upbringing, including the influence of his father, Pierre, who was prime minister before him, and the tragic death of his brother, Michel. Filled with anecdotes, personal reflections, and never-before-seen photographs from his own collection, Common Ground is an intimate portrait of the man who has thrust Canada back onto the world stage. Not only this, but it also presents a moving case for a better kind of politics at a time when people are more disillusioned with politics than ever before.